A long-time pioneer and expert in Early Childhood Education (ECE) since 1932, Yew Chung was the first in Hong Kong to introduce the revolutionary concept of learning through play. 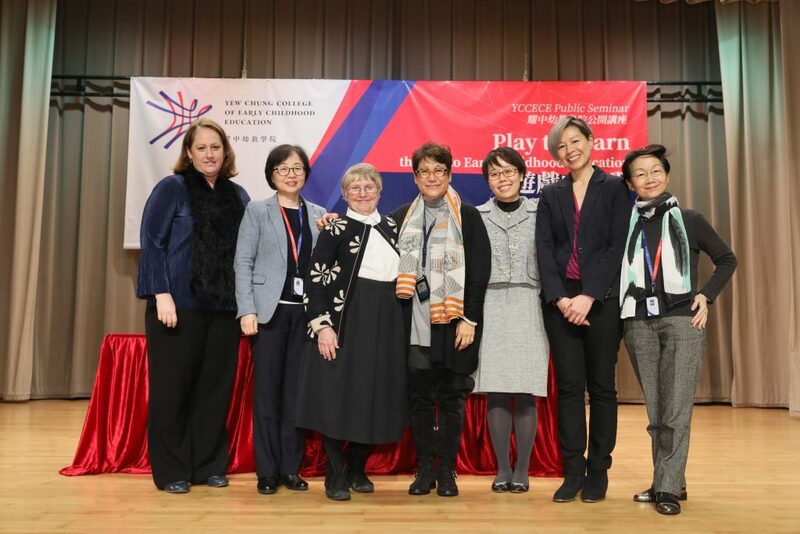 As part of its relentless pursuit of promoting play-based and child-centred learning, Yew Chung College of Early Childhood Education (YCCECE) proudly hosted the public seminar “Play to Learn – the Key to Early Childhood Education”, advocating for better understanding of high quality “play”, and the importance of parent engagement and community support for our youngest members of society. 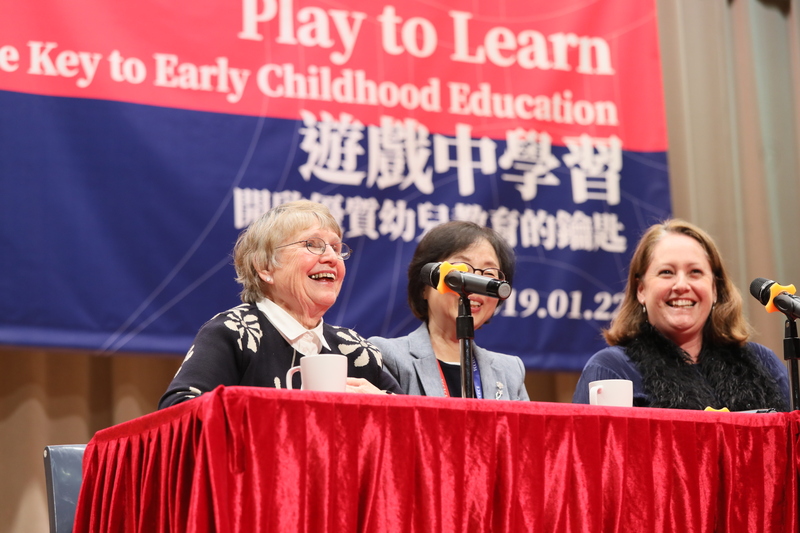 Three distinguished ECE experts namely Professor Kathy Sylva, Professor Soyoun Bae, and Ms Nicky Weir shared insights on what “play” really means and how it is fundamental to young children’s holistic development at the seminar. Over 600 ECE practitioners and leaders, special education professionals, social workers, parents and friends of the media enthusiastically gathered at the Yew Chung International School on 22nd January. 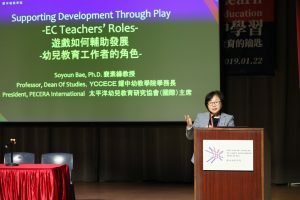 The evening seminar opened with a welcoming by Professor Shen Shir Ming, President of YCCECE, who then introduced Professor Kathy Sylva, Professor of Educational Psychology from the University of Oxford, and member of the Board of Governors of YCCECE, to the stage. 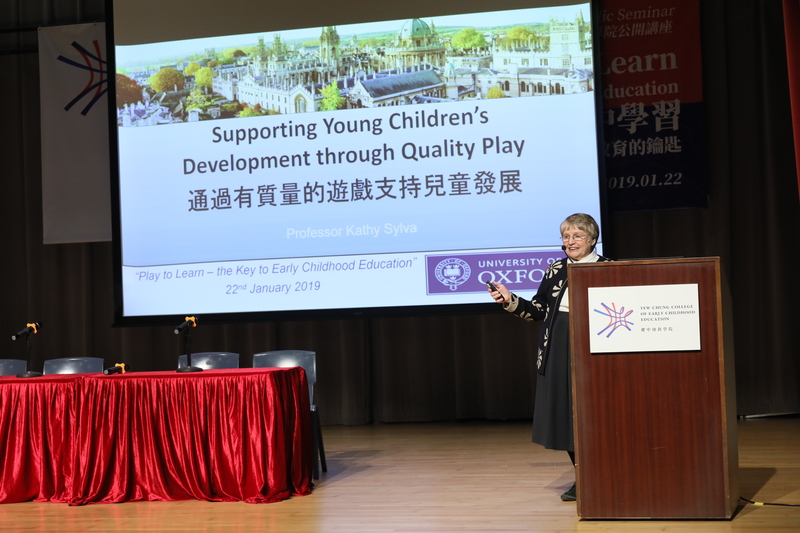 During her Keynote “Supporting Young Children’s Development through Quality Play”, Professor Sylva presented a large-scale study in Europe, the Effective Preschool, Primary and Secondary Education (EPPSE) project, which followed 3000 children from age 3 to 16. The longitudinal research demonstrated not only the enduring impact of high quality preschool on children’s later life, but also the unique and powerful effects of the Home Learning Environment. So what parents actively do with their children (e.g. storybook reading, visiting the museum or library) is more important that who they are in terms of socio-economic status and education levels. Prof Sylva also shared another piece of research evaluating a mobile phone App, EasyPeasy, which provides many ideas of simple and playful learning for parents to play with their young children. Through the “Towers of Hands” example, Professor Sylva showed that children could develop many cognitive pre-academic abilities (e.g. mathematics, language and spatial awareness) as well as essential 21st century skills (e.g. self-regulation, problem-solving, critical thinking, creativity etc. ), while joyfully playing with their parents. The second speaker was Professor Soyoun Bae, the YCCECE Dean of Studies and the International President of PECERA (Pacific Early Childhood Education Research Association). She suggested educators should be aware of the different levels of environmental influences on children’s development, in which parents and caregivers undoubtedly play a dominant role. Through building partnership with families and communities, learning their needs, and helping them to understand the significance of play in children’s development and learning, educators could greatly improve children’s learning conditions. Ms Nicky Weir was the third and final speaker of the seminar. She introduced the Yew Chung Early Childhood Development Centre and its advocacy role in improving the lives of young children in Hong Kong. As the Centre Director, Ms. Weir shared various programmes the Centre plans to implement in their effort to connect and support the healthy development of young children, such as the Centre’s flagship programme – Hong Kong’s first “Discovery Space” – an innovative learning-though-play hub for children that will debut in June 2019. She also introduced various effective and relevant Community Education and Professional Development opportunities. Through the facility and courses, Ms Weir and her team strive to assist parents and caregivers in gaining knowledge on quality ECE, as well as minimising their doubts and worries regarding ECE. By creating precious memories and guiding parents and caregivers to explore and experience the world through their child’s “eyes”, the Centre aims to help forging close-knitted families, enabling children to have a holistic and all-rounded development. Finally, all three speakers were invited back on stage for a Q & A session. The audience engaged in a thought-provoking dialogue, posing questions such as “How to make sure children are school-ready while they can still enjoy their childhood?” and “Would Discovery Space be open to public?”. The speakers expressed that play has a more notable role in children’ lives, as play is a component that sparks children’s interest and curiosity in learning, an effective method for learning practical skills, also a means that brings a family closer together. They believed having a strong and trusting relationship with their caregivers allow children to authentically reflect their challenges in life, which is beneficial to their all-rounded development. 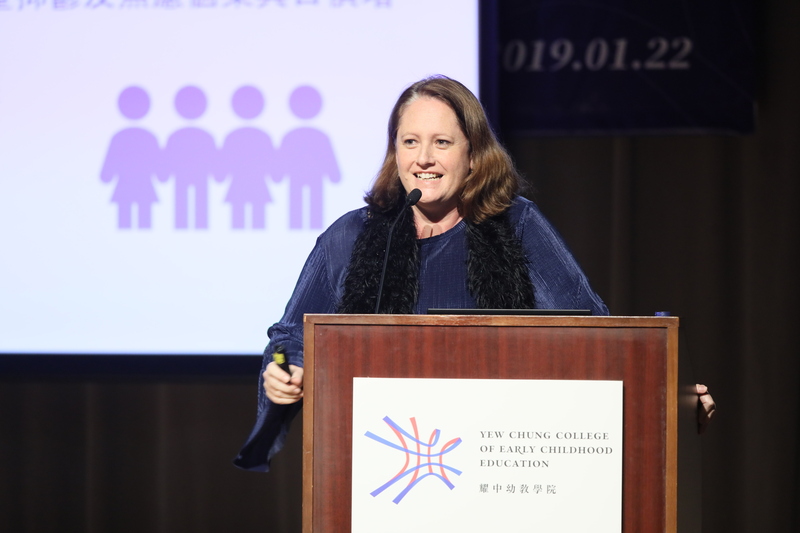 Ms Weir also reassured the audience that YCECDC and the DS would be open for all families, Kindergartens, Child Care Centres, Special Child Care Centres in Hong Kong.